Are you finding the challenges of life are too difficult for you ? Would it help to… talk it through ? Do you think you would be able to…understand things better ? Once you have decided you would like to go ahead with counselling, we will arrange a mutually convenient time for our initial meeting. 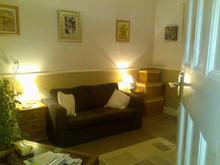 Looking for a counsellor or Counselling in London? Tranquility Conselling Service is based in Chingford and is in easy reach of London and West Essex.